In 2017, USO centers were visited more than 7 million times by service members and their families. 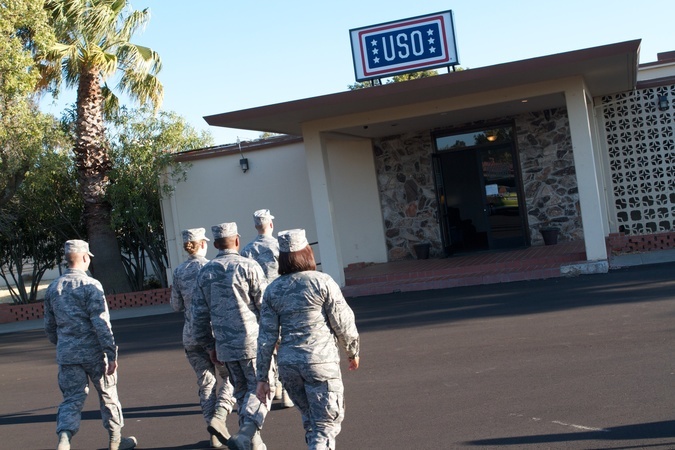 USO centers provide a warm and comforting place where service members can connect to loved ones via Internet or phone, play a video game, catch a movie, have a snack or just put their feet up and relax. Currently, the four USO centers in Afghanistan collectively average more than 25,000 visits a month while our two centers in Kuwait collectively average more than 39,500 visits monthly.